Not all adventures turn out as planned. I recently hiked and packrafted Waddell Creek in Big Basin State Park. 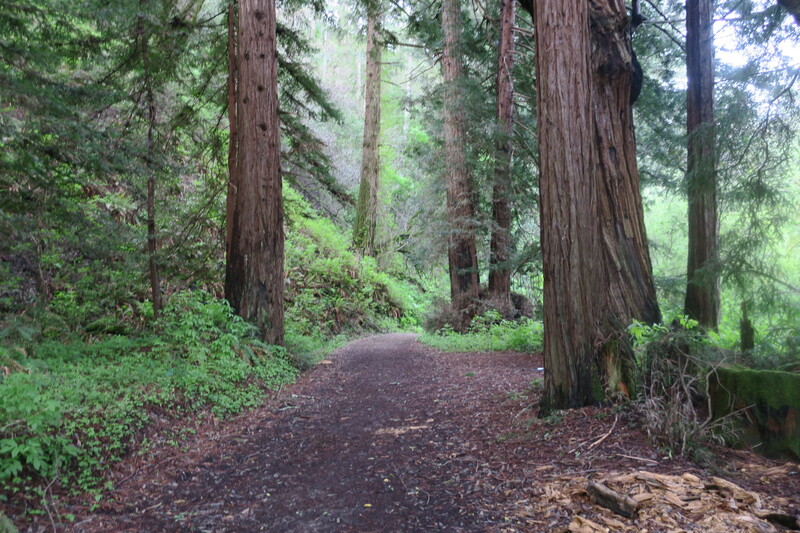 Big Basin is California’s oldest State Park. The 30+ mile Skyline to the Sea trail bisects Big Basin as it descends from the top of the Santa Cruz Mountains to the Pacific Ocean. 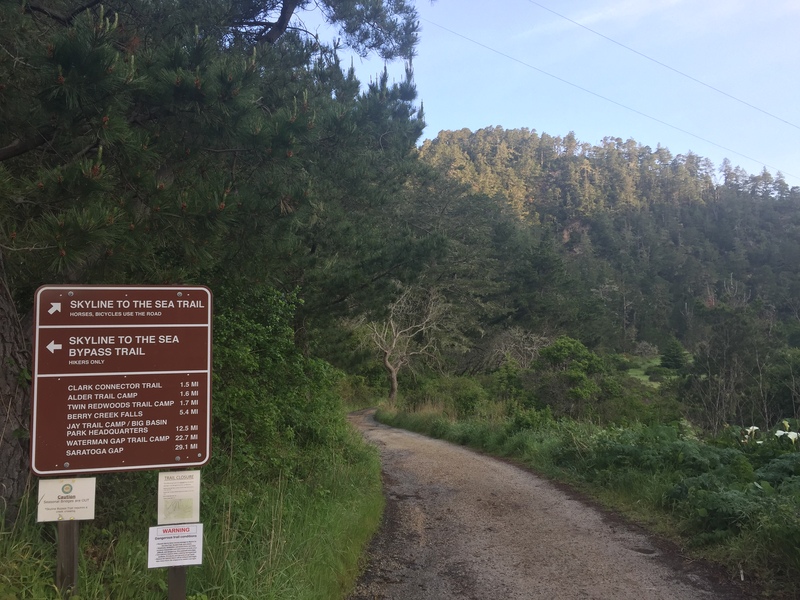 The trail follows Waddell Creek for about 10 miles from Big Basin HQ to Waddell Beach. This year’s massive winter rains impacted both trail & creek. Nearby Boulder Creek weather station recorded 80+ annual inches of rain. 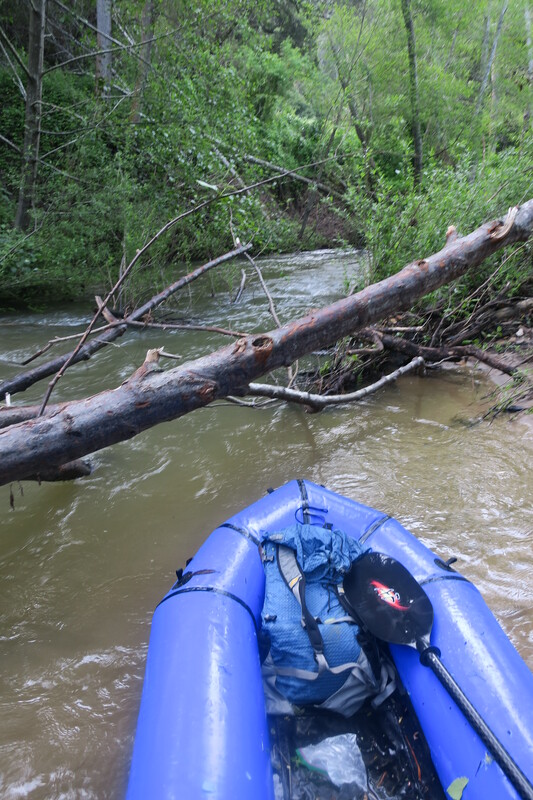 The storm resulted in current trail closures and many down trees along Waddell Creek. 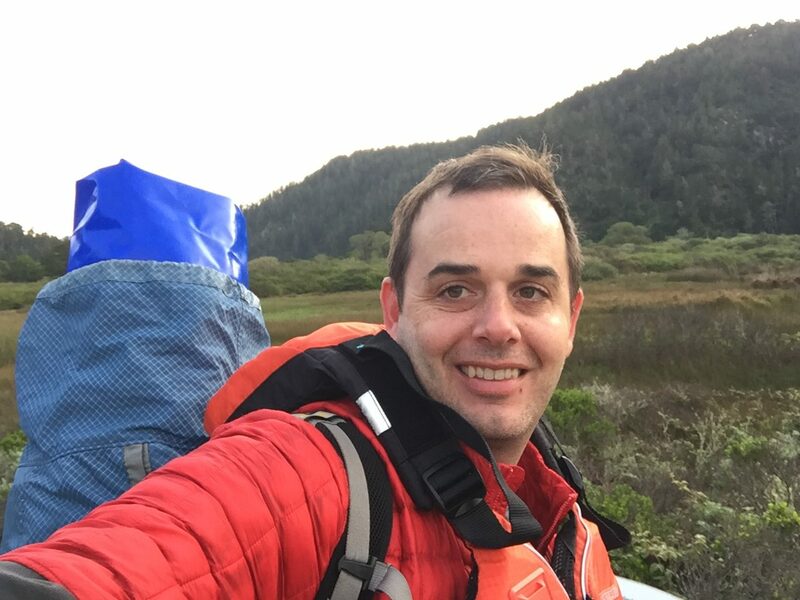 For my adventure, I hiked the Skyline to Sea trail ~ 2 miles from Waddell Beach to the Twin Redwoods Campground. 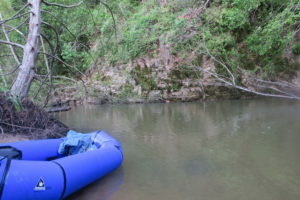 The water was high with many interesting class II sections. 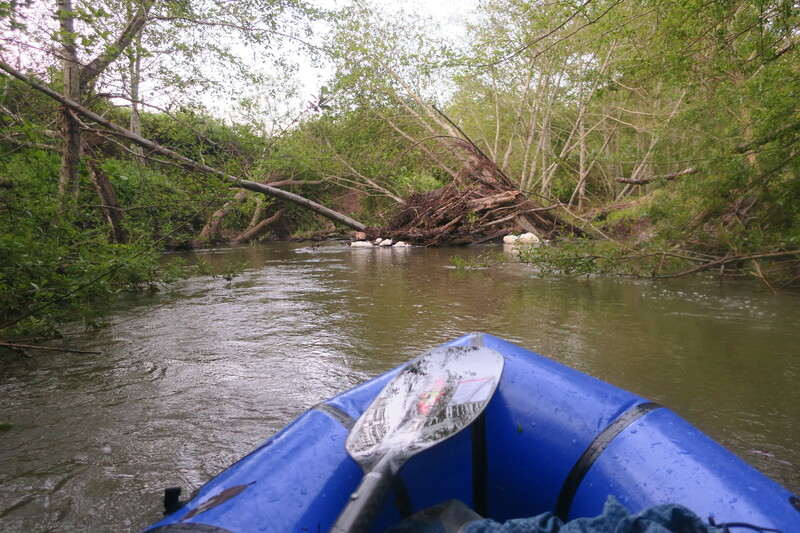 However, I had to portage around many sections due to fallen trees. 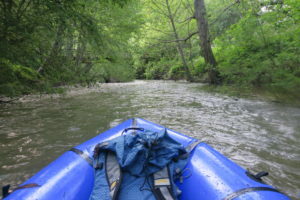 The trip was adventure, but with current conditions, I would not recommend packrafting Big Basin State Park on Waddell Creek to anyone not ready to walk around the multiple snags. 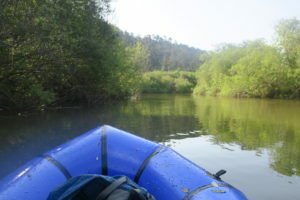 Hiking & packrafting Pescadero Creek is a safer hike & packraft option. Hiking the Skyline to the Sea trail uphill in the Santa Cruz Mountains. 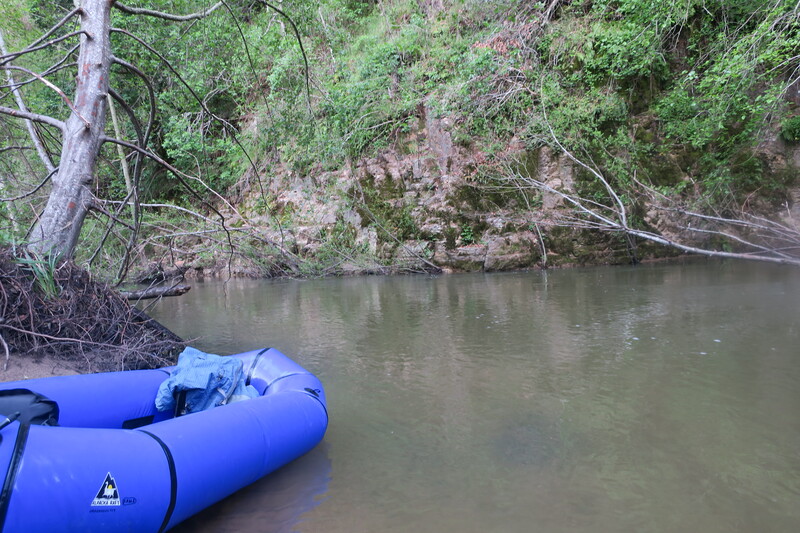 The author carrying the very light Alpacka Packraft in my lightweight pack. I’m glad i wore my life preserve on this trip. Hiking through redwoods near Alder Trail Camp in Big Basin State Park. The redwoods help make the Santa Cruz Mountains unique. I inflated the packraft just south of Alder Trail Camp and launched on a small Waddell Creek beach. The left picture is one of many portages along Waddell Creek that bypass downed trees. 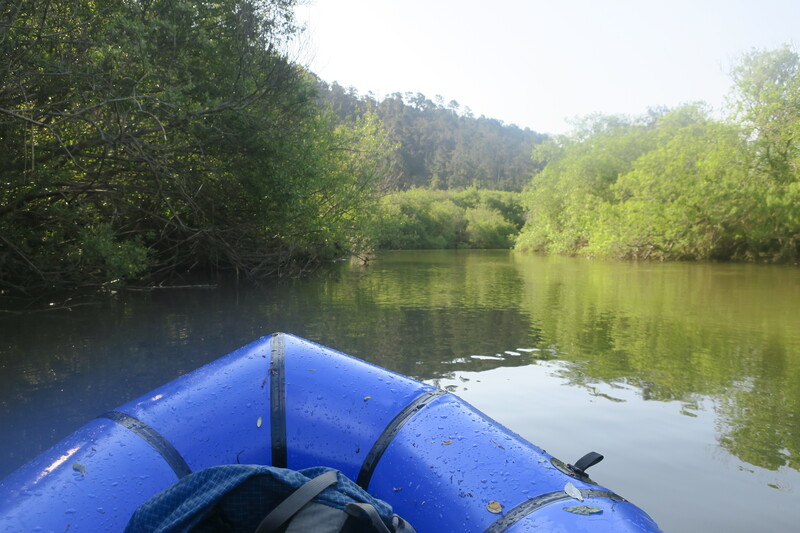 Closer to the ocean, Waddell Creek broadened & the trees reminded of mangroves. Approaching CA 1 bridge and the ocean. 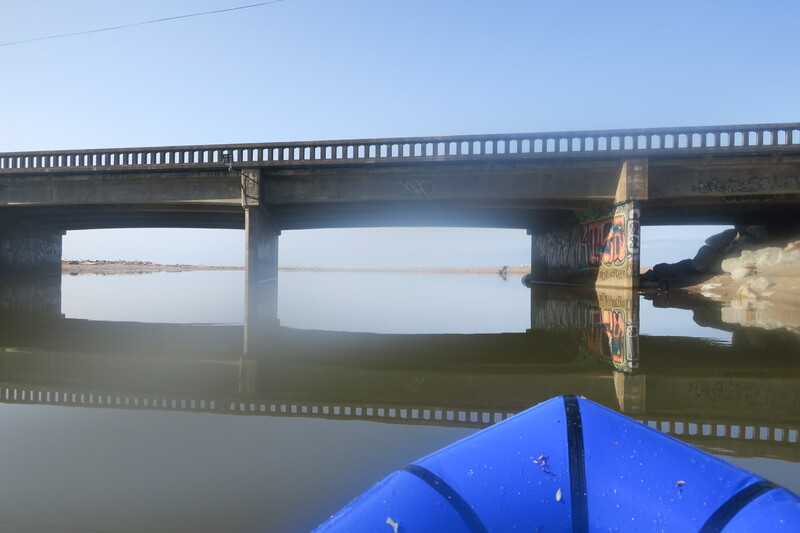 It felt good to be on flat water after I took a few spills into Waddell Creek.